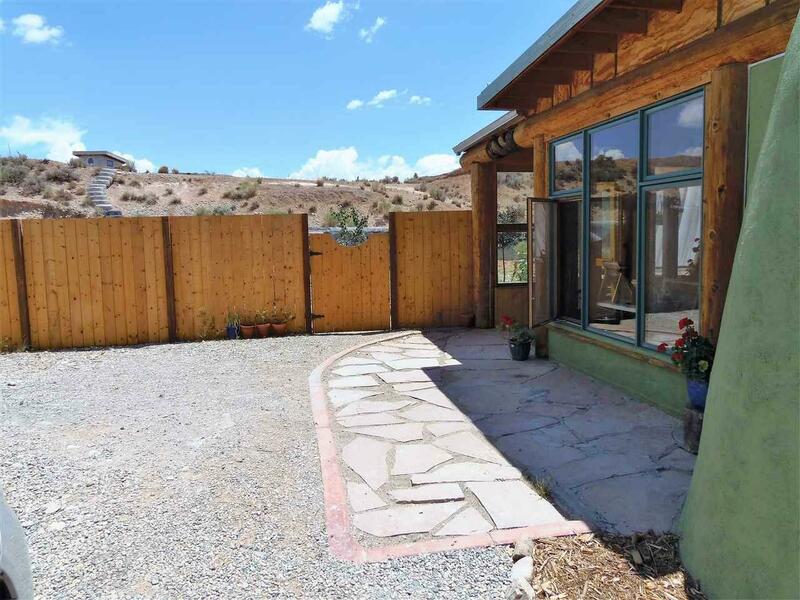 15 S Lemuria, Taos, NM 87571 (MLS #101138) :: Angel Fire Real Estate & Land Co. 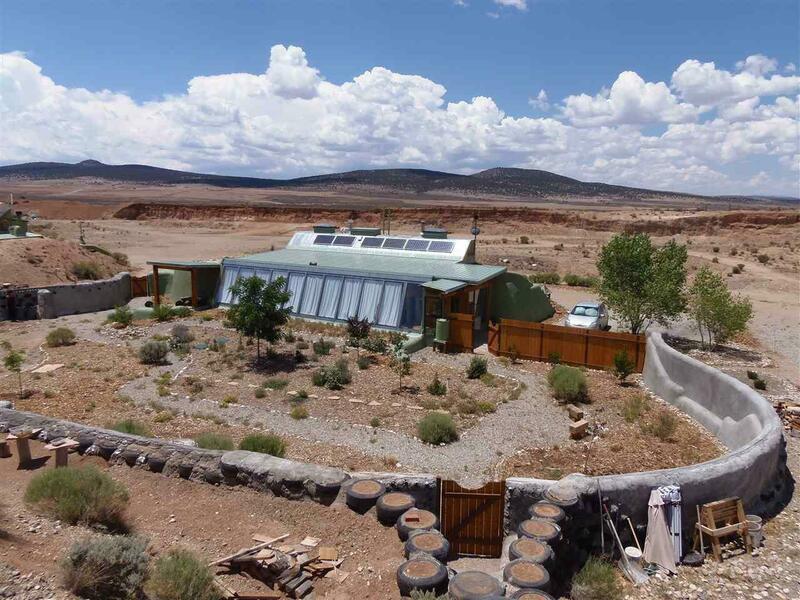 Welcome to 'off grid' living in the Greater World Community near Taos, New Mexico. 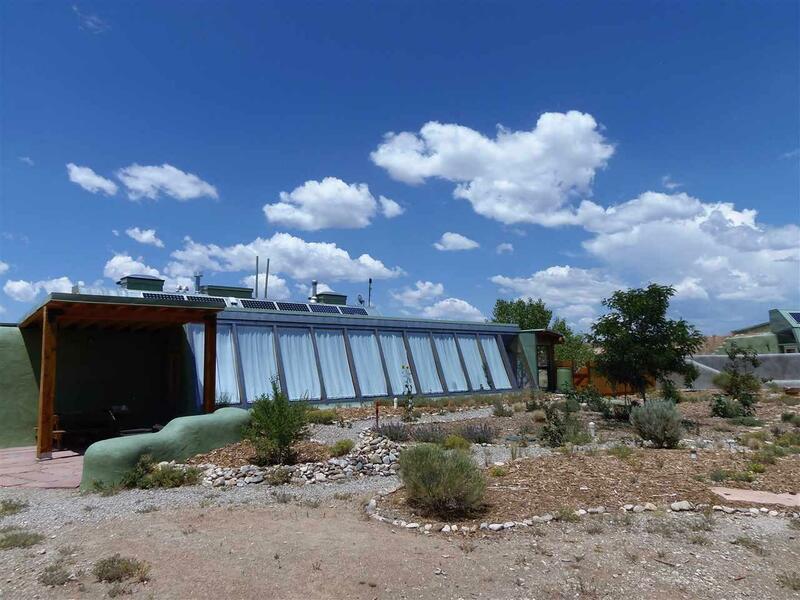 This efficient earthship style home gains its electricity from the ample New Mexico sun, and collects water off of the metal roof for storage in underground cisterns. You can even grow some of your food in the greenhouse/warmth generating South facing portion of this cozy home. The owners have been nourished by living in this home, but it is time for them to move along. Take advantage of their loving care and maintenance of this home, and the additional back yard, pet secure, large courtyard area defined by a stucco wall which creates privacy and protection from wind and noise. This special area has been landscaped with pathways, growing areas, 2 Apple Trees, Pear Tree, Honey Locust, Purple Locust, Sand Cherry, Nanking Cherry, 2 Lilacs, an Elm, Snowberry Bush, Plum Tree, 2 Apache Plumes, and numerous colorful Chamisos. The owners have also created a covered outdoor sitting patio area with flagstone on the earth. Outdoor spaces are important when one has so many sunny days to enjoy relaxing outside. Inside the home, the greenhouse area provides beauty and warmth, and a growing space as well. The kitchen/living room space is charming and also includes a woodstove for backup heating and ambiance on cooler, cloudy days. The bedroom is spacious and provides a sheltered and quiet, relaxing feeling. The bathroom is bright and clean, and tasteful. The home comes with washer and dryer, propane on demand water heater, gas range, DC refrigerator/freezer. There is a built in water filtration closet, and solar inverter closet. This is a 24 volt solar photovoltaic system with 8 batteries which were new in the summer of 2017. 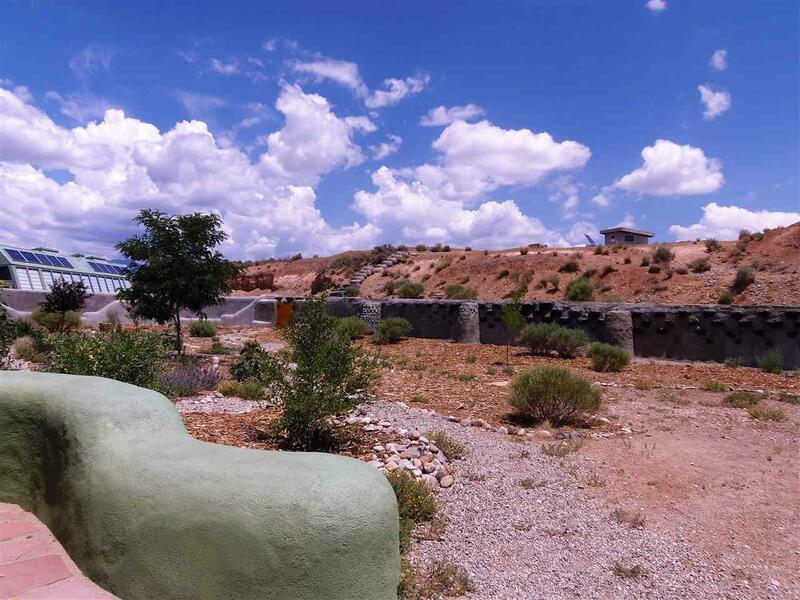 HOA fees are $175/year. Come and have a look at this delightful home and consider a new sustainable lifestyle. You will fall in love! Square footage is per Taos County Assessor.